The South Gloucestershire Council (SGC) and Wiltshire Council (WC) have today become the latest to sign a new £35.6m contract with BT that will make superfast broadband ISP speeds (25Mbps+) available to 94% of local homes and businesses by the end of March 2016 (the rest will get speeds of at least 2Mbps). The project, which should directly benefit more than 104,000 local homes and businesses, will be funded by £4.66m from the government’s Broadband Delivery UK (BDUK) office, £15.5m from Wiltshire Council, £2m from South Gloucestershire Council, £12.8m from BT and £0.74m from the European Regional Development Fund (ERDF). “It’s great to see Wiltshire and South Gloucestershire working in partnership to bring the best possible broadband to their rural communities. High speed broadband is critical to attracting new businesses to the area and providing individuals with access to the myriad of new applications and services that are becoming available. 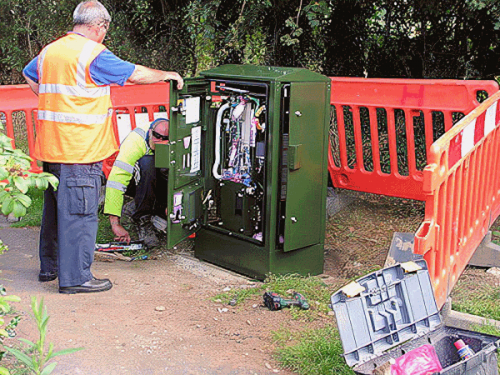 As usual BT intends to deploy a mix of its dominant up to 80Mbps capable FTTC and 330Mbps FTTP fibre optic broadband technologies. A period of planning will now take place, with work expected to start on the ground during autumn 2013 and the first exchanges enabled under the project are due to go live during spring 2014. 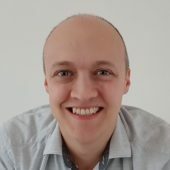 Mark is a professional technology writer, IT consultant and computer engineer from Dorset (England), he also founded ISPreview in 1999 and enjoys analysing the latest telecoms and broadband developments. Find me on Twitter, Google+, Facebook and Linkedin. Surprising to see even more progress in the rural southwest today, following the earlier announcement about Devon and Somerset. Looks like this part of the UK will be really well connected now. Privacy Notice: Please note that news comments are anonymous, which means that we do NOT require you to enter any real personal details to post a message. By clicking to submit a post you agree to storing your comment content, display name, IP, email and / or website details in our database, for as long as the post remains live. Only the submitted name and comment will be displayed in public, while the rest will be kept private (we will never share this outside of ISPreview, regardless of whether the data is real or fake). This comment system uses submitted IP, email and website address data to spot abuse and spammers. All data is transferred via an encrypted (https secure) session. NOTE 1: Sometimes your comment might not appear immediately due to site cache (this is cleared every few hours) or it may be caught by automated moderation / anti-spam. NOTE 2: Comments that break our rules, spam, troll or post via known fake IP/proxy servers may be blocked or removed. Which 4G router Huawei B525 or B618?